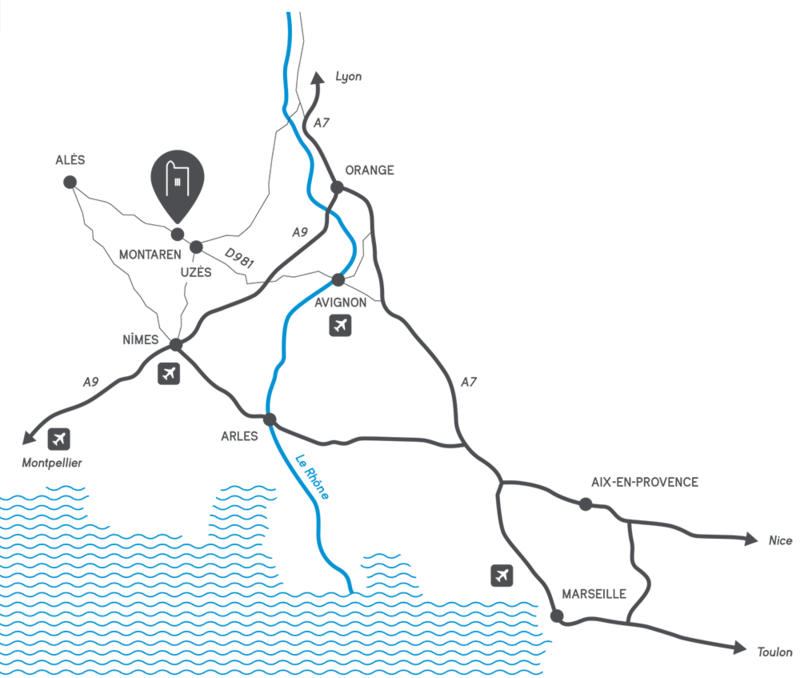 From the A9, exit 23 (Remoulins/Pont-du-Gard), then follow signs to Uzès/Alès via the D981. Bypass Uzès following directions for Alès, still on the D981. After 4 km, turn right on the D337 to enter the village of Montaren, then pass the church, go round the castle and follow the signs for the car park. Park at the graveyard (public car park, free and with video surveillance) and walk 50 m to the Tour Sarrazine, either by the rue des Acacias to n°7 rue des Acacias, or by the historical centre to n°6 rue de la Tour Sarrazine. On request, our friends on bicycles or motorbikes are able to park in a closed garage.